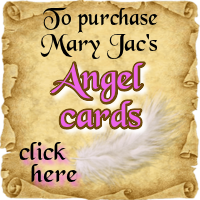 Would you like to choose a FREE Angel Message Card while you are here? securely wrapped in loving arms"
and the sun give you radiance through the day. sending you a rainbow to show you the way. feeling happiness wherever you are. 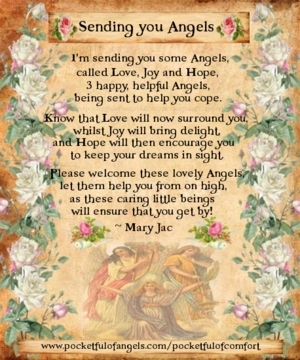 3 happy, helpful Angels, being sent to help you cope. whilst Hope will then encourage you to keep your dreams in sight. as these caring little beings will ensure that you get by! bring you love and happiness, keep your life calm, and most of all protect you from harm." 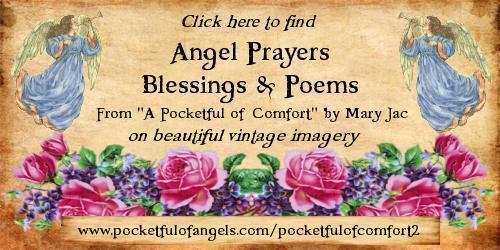 and your Angels come and smooth your way whenever you may call." and guide you back safely to family and home." 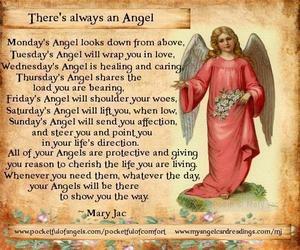 and your Angels beside you forever after." 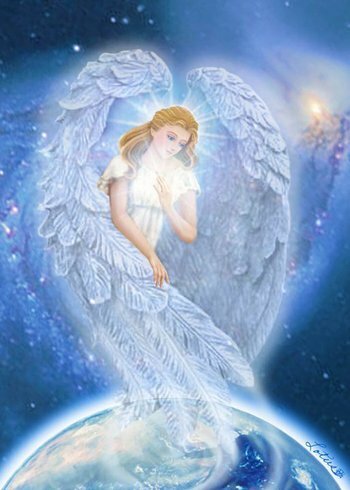 sending peace, love and guidance to bring happiness to you"
and your guidance from the Angels bring you happiness ever after.” "
whilst protected and guided by your Angels above. by your Angels bringing your Soulmate to you." and protect, love and guide him through all of life’s doors. being watched over always by his Angels above." will give you guidance every day!" we need have no fear of the road ahead." and ask them for their guidance to free you from your fears. to help you find contentment through their unconditional love. but you’ll see with time and hindsight it was for your very best! happy and peaceful, just trust them, you'll see!" and show you that UP is the only way to go"
I'm sure that the Angels will come and hug you!" simply call with your heart, and they will be there." by the means of your Angels conveying a sign? and trust that they'll guide you through each precious day." 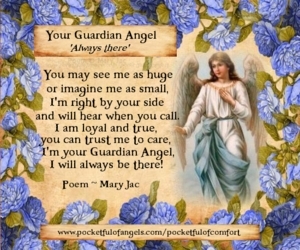 they're waiting to help you - just trust they are there ..."
with the comforting presence that comes from above. can also be signs you have Angels with you. and thank them for showing you that they are there." 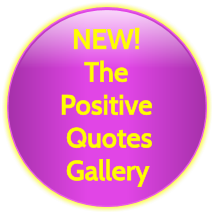 towards peace and love and happiness, through their guidance every day." for guiding me safely through all of life's doors." through which Angels love to walk." keeping you safe 'til the fresh morning light.” "
guide me through my problems and help me on my way. then protect me whilst I'm sleeping with their extra loving care! 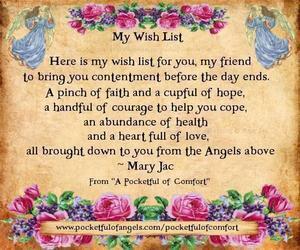 and bless you with beautiful dreams to keep"
and may you wake in the morning feeling happy and well"
then dream amid the peace that thought will bring ..."
All blessed with the presence of your Angels above." "When in doubt - look up!" 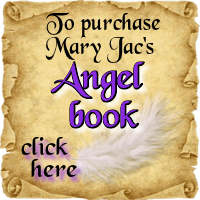 All of the poems and blessings on this page are © Mary Jac 2010. Please do not copy, reproduce or transfer to any other site without written permission.